We started swimming lessons this week. The fun part is that the class is full of our friends! 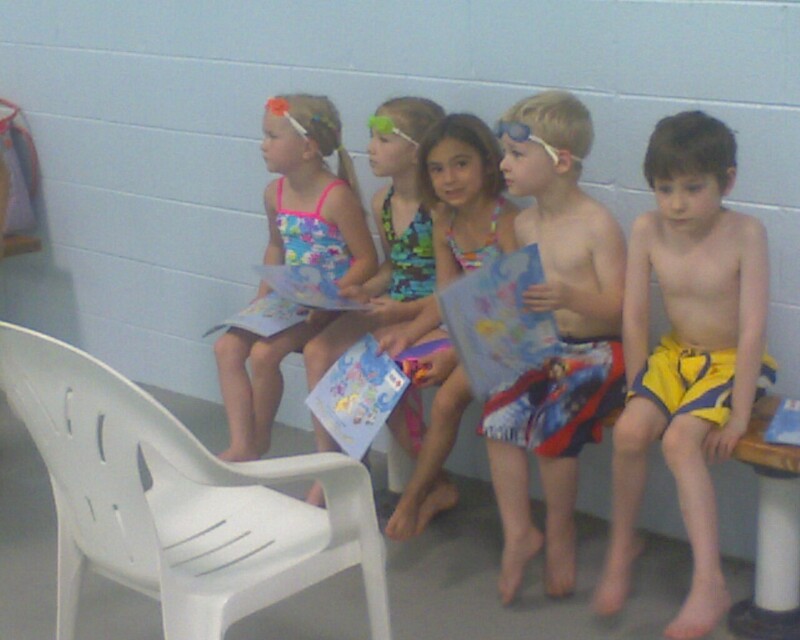 The kids have lots of fun after class playing in the water while Mom takes a water aerobics class. It’s tough!